oh yeah. that's right. i finally got around to making you lovely people a tutorial. 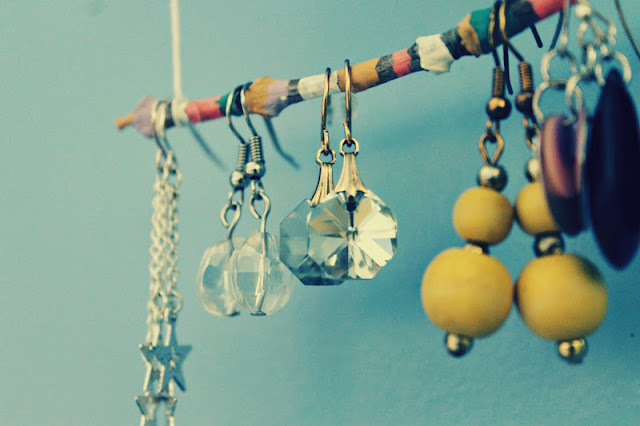 :) It's my vintage inspired graphic branch/twig earring holder! It's very useful and pretty if i do say so myself! small yarn/thread. embroidery floss would work. mix your paints and start painting it in bands of differing size. leave spaces between some bands and overlap others. it's up to you... but i think that leaving some branch showing here and there looks better than completely covering it in paint. take your string and tie it to the branches keeping them level. 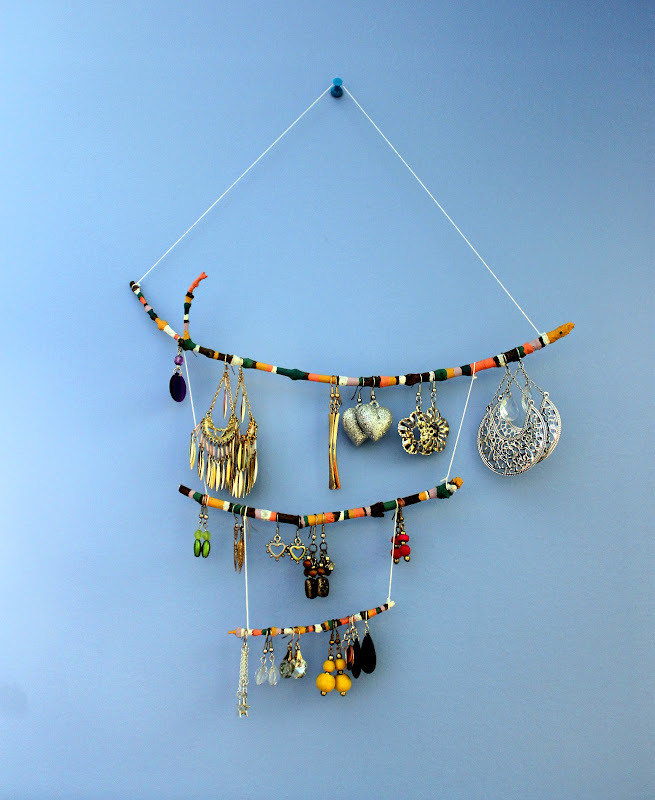 remember to leave enough space between them for your earrings to hang. 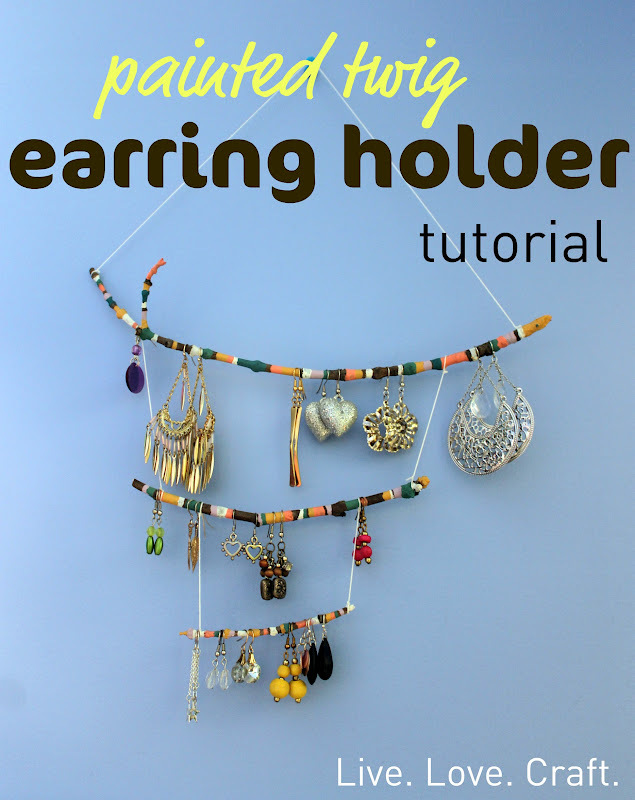 hang on your wall and put your earrings on it! i love this project! 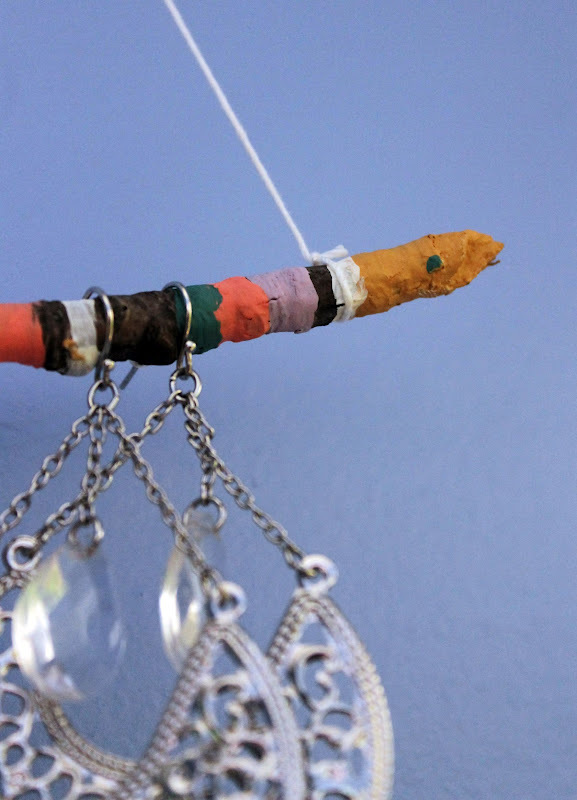 so cute...and inexpensive!